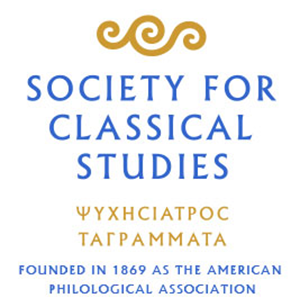 The mission of the Society for Classical Studies is “to advance knowledge, understanding, and appreciation of the ancient Greek and Roman world and its enduring value.” That world was a complex place, with a vast diversity of peoples, languages, religions, and cultures spread over three continents, as full of contention and difference as our world is today. Greek and Roman culture was shared and shaped for their own purposes by people living from India to Britain and from Germany to Ethiopia. Its medieval and modern influence is wider still. Classical Studies today belongs to all of humanity. For this reason, the Society strongly supports efforts to include all groups among those who study and teach the ancient world, and to encourage understanding of antiquity by all. It vigorously and unequivocally opposes any attempt to distort the diverse realities of the Greek and Roman world by enlisting the Classics in the service of ideologies of exclusion, whether based on race, color, national origin, gender, or any other criterion. As scholars and teachers, we condemn the use of the texts, ideals, and images of the Greek and Roman world to promote racism or a view of the Classical world as the unique inheritance of a falsely-imagined and narrowly-conceived western civilization.